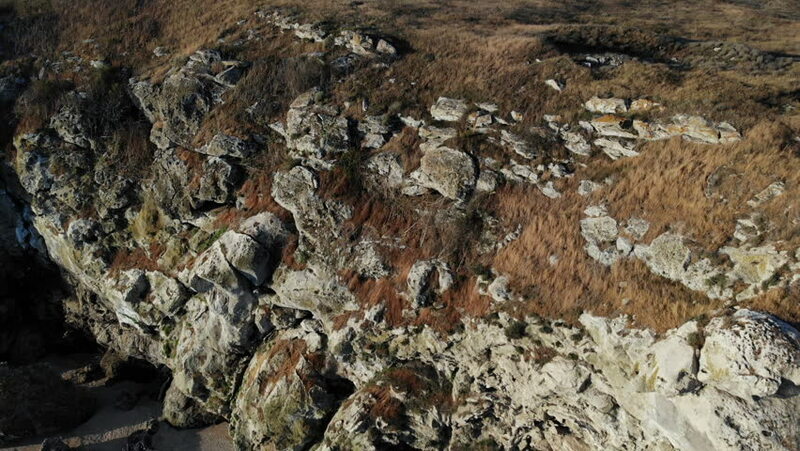 Sea And Rocks is an incredible stock video clip showing a craggy rock faced cliffside. The drone camera moves back towards the ocean away from the landmass. There is a remote beach below the rocks. hd00:07Guana on rocky coast of Galapagos Islands. Amazing reptiles like dinosaurs. Wildlife animals. Nature of Ecuador. Herbivorous inhabitants of ocean. hd00:15Pieces of broken asphalt and a dug pit falls into the wheelbarrow. Dirt and Dust. Repairing of City Roads. Slow Motion.